Many people out there don’t realize how important their home is for their mental health, and it’s vital that you can feel happy when you spend time there. Even if you don’t work at home, the time you spend there can still have a significant impact on your day. Afterall, you go to sleep there, you wake up there, and you likely eat there! As some of the most critical parts of the day, you need to make sure it’s not such a negative experience! When it comes to decorations, there’s so much you can do to change the atmosphere of the room, and the mood can be set depending on what you want. Most importantly though, is knowing what’s going to look nice. You don’t want to spend out on loads of decorations to find that some of them throw entirely the room’s look out. What makes it even more difficult is if you lack creativity and experience when it comes to decorating, but that doesn’t make it hopeless! There are many sites online that you can visit if you’re looking for some inspiration, where others share their designs and decoration ideas. 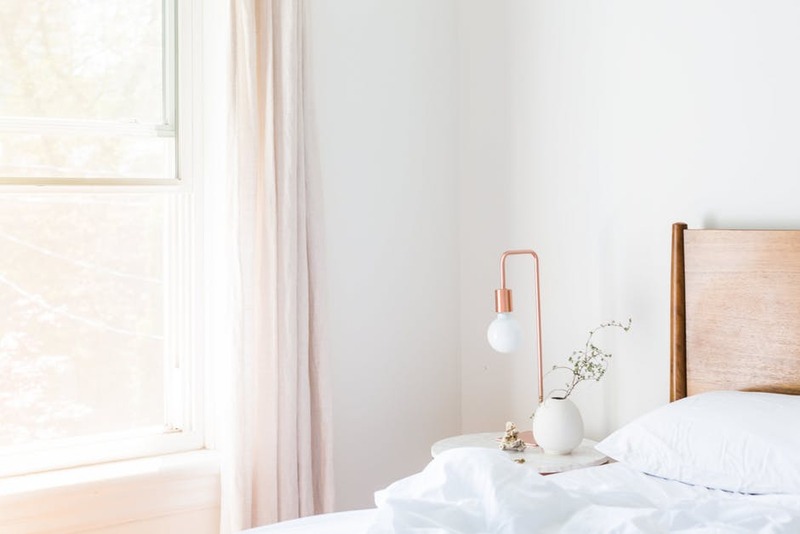 If you’re looking to add color and positivity to your home, natural lighting can do a great deal, and it’s best to make the most of what you’ve got. Not only does it help the mood, but it can also help bring warmth to the room, which is also crucial for a positive atmosphere! Natural lighting isn’t the only factor to pay attention to; there’s a lot you can do with bulbs too. If you’re trying to create a warm and cosy look, a dim and warmer color bulb can make for a much nicer atmosphere, as brighter and white lights tend to be harsh. That said, if your house has the right features, it can also help to brighten your colors and bring a cleaner look instead. Colors are very important when it comes to creating your mood, and it can be cost-effective when it comes to the bigger changes. Typically, wallpaper and paint can make the biggest differences to a room, and when you don’t have to pay too much for it, it should be a priority! Usually, you can get samples from home stores of different paint strips and wallpaper pieces, so it’s great if you need to experiment and match them against what you already have. Being comfortable in your home is the most important factor when it comes to your investments. If you’re going to buy furniture, it’s best to make sure it’s going to be used and appreciated. You’re likely going to have to search harder for what you want, as finding the right amount of comfort with the right look can be tricky. Not just that, but shooting for more comfortable furniture can also rise up the price. If you’re struggling for cash, you should put your priorities into your sleeping furniture, as it can have the most significant impact on you. If you’re struggling to sleep and waking up in the night with aches, it can ruin your entire day, which is the last thing you want when you’re trying to work. Having a messy house can really ruin your mood when you know you have to come home to it, as it’s just extra labor that you have to take care of. It’s best that you take care of it as you go to lessen the workload you have to think about. Not only that but if you work at home, then it can be very distracting for you. There are even messes that you can’t take care of on your own, and you need a professional like ABC Home & Commercial. Things like messy wires and cables can be hard to clear up alone and can bring a risk if you try to deal with them yourself. Like mentioned before, your home can have a huge impact on you on a daily basis, so it’s best to deal with any problems as soon as you can. Don’t let your home be a burden in your life, splash out some cash for the best experience! It’s ridiculous how many people aren’t willing to prioritize their homes over their other purchases, and they don’t consider how much better their life can feel once they have the perfect living space for them. It’s worth the investment!